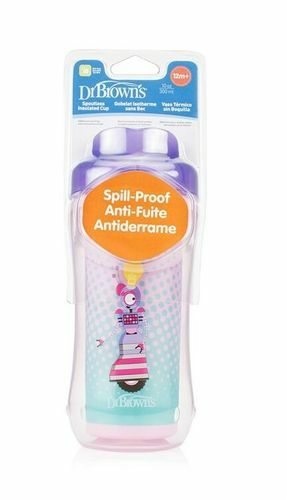 Dr. Brown's brings to you the easy way for little ones to transition from sippy cups to open cups. Durable, lightweight and designed to keep drinks fresh and cool, this 10-ounce insulated cup is perfect for helping a little guy or gal transition to a grownup-style cup. Features a spoutless rim that is spill-proof with the one-piece silicone valve in place. Eye-catching, kid-friendly graphics make using this cup fun and exciting.